Trevor Carelse-Juul, a former Zifa president and losing aspirant - who also tried to assault UK journalist Lance Guma after losing elections, has accused winning candidate Philip Chiyangwa of using dirty tricks to win the elections last year. Carelse-Juul recently wrote to world football governing body Fifa accusing Chiyangwa of violating Zifa and Fifa statutes during the 2015 Zifa presidential elections. The South Africa-based businessman, who was seeking a second tenure as Zifa president, made the stunning allegations in a written submission to Fifa’s development officer for southern and eastern Africa, Ashford Mamelodi, during the latter’s recent visit to the country last month. Mamelodi was in Zimbabwe last month for a three-day fact-finding mission on the state of football in the country, where he engaged Zifa executive members, councillors, former administrators, the association’s staff and the game’s stakeholders, including creditors. Did Chiyamgwa Cheat During Elections? In the letter dated September 9 2016 and addressed to Mamelodi, Carelse-Juul, through his election agent Stanley Makombe, alleges that Chiyangwa bought his way to the biggest job in Zimbabwean football. “We appreciate your acceptance to hear submissions from various football stakeholders on the status of Zimbabwe football and we hereby submit our concerns on several violations of Zifa and Fifa statutes during the 2015 Zifa presidential elections that we view as a catalyst to many of the challenges bedevilling the game in Zimbabwe today,” Carelse-Juul wrote. 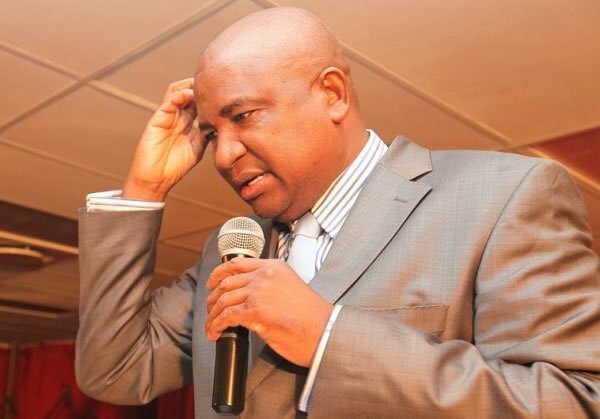 His camp went on to list some of the alleged violations made by Chiyangwa, which include donations to Zimbabwe’s women and youth teams prior to the elections, as well as alleged bribes and promises he made to the Zifa councillors, who make up the electoral college. *Chiyangwa promised all voting councillors that he would give each a residential stand once he had been voted into office and he wanted each one of them to take a picture of the voting ballot paper to prove that he/she indeed voted for him. Carelse-Juul went further to quote sections of the Zifa constitution and Fifa statutes, which his camp alleges Chiyangwa violated ahead of the 2015 Zifa presidential elections. The recent submission to Mamelodi came after Caresle-Juul had, on December 4, a day before the election, written another letter through his lawyers Mangwana & Partners Legal Practitioners raising similar concerns.